Starting out on a road trip through WA's Golden Outback; the road stretches out into the horizon (photo: Elise Hassey). 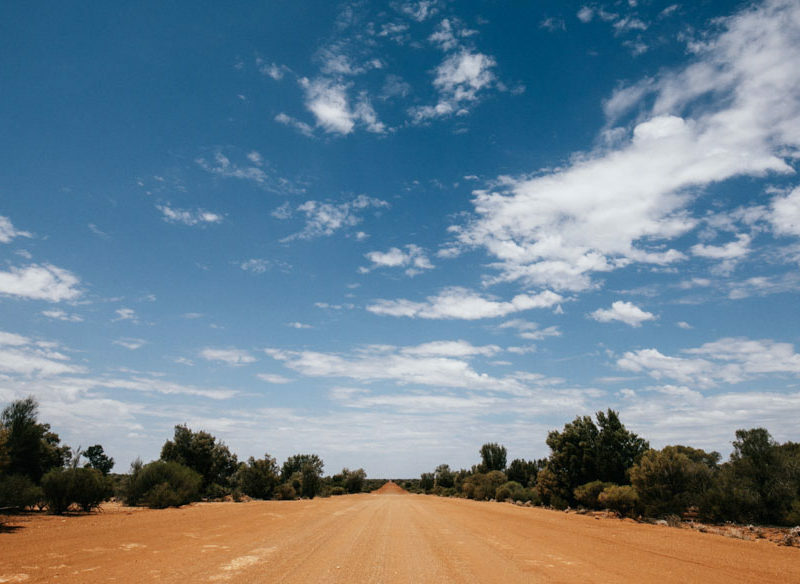 As the kilometres rhythmically tick away and mobile service dips in and out, I stare out of the window and breathe deeply; the wrangling it took to be sitting in a car next to one of my oldest friends, heading deep into Western Australia’s Golden Outback was a journey in itself. The loop we decided on holds promise of wild desert plains, pristine beaches with the whitest of sand, and stories of exploration and community. Admittedly my association with road trips has long been car sickness and singalongs, arguments over bubblegum and inevitable “Are we there yet?” cries. But perhaps I’ve got it wrong, because the speed at which I am being enveloped with calm as the landscape shifts from the green busyness of hobby farms to undulating stretches of brownish pasture is a surprise to me. It ignites a discussion about the romanticism of a road trip, the lure of adventure and unknown experiences. My friend reveals she finds hours spent in a car meditative, it’s her place of zen. As the road widens and flattens between York and Quairading, and the car begins to hum to the soothing tones of Chet Faker, I decide I’m a fast adopter and closer to carefree than I can remember. Qantas and Virgin fly daily to Perth from all other capital cities. The Loose Goose Restaurant & Bar – Cosy and unassuming décor teamed with beautiful food. 9A Andrew Street, Esperance.